A motorcycle meant to look stylish with, rather than stylish on, trials bikes are created for various levels of stunt riding. Trials motorcycles are used by amateur or professional riders who want to scale rocky trails and operate around as well as over other extreme obstacles. Motorcycles built for trials are designed to be lightweight yet durable. Lack of body work and the absence of comfortable seating are also key identifying traits of trials motorcycles. 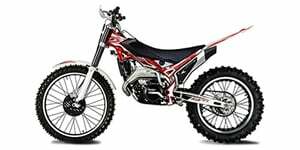 There is minimal need for seats on trials motorcycles since the rider is commonly standing up in order to best maneuver their their body weight for ideal balance when trekking across uneven surfaces. A V-shaped or Y-shaped frame design is common with this type of motorcycle. Trials competitions started in Europe resulting in some of the leading manufacturers having headquarters overseas, such as Gas Gas and Beta. 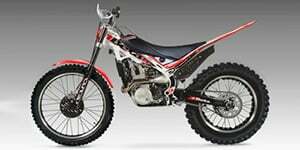 Having bought the popular Montesa motorcycle business in the 1980s, Honda's continuation of the Spanish brand has led to new versions of the Cota 4RT powered by a fuel-injected 260 cc engine. 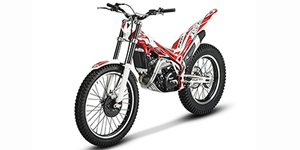 Trials motorcycle engines are typically built for quick powerful bursts rather than top speed, resulting in a focus on low-end power in their engines.